I’m so excited to write this post as ‘fragrance’ is my absolute favourite thing. Our sense of smell evokes emotional reactions and we are often drawn to buy products based on the scent. Fragrance is an essential part of our beauty routine, we use scents to reflect our personality, mood and to complete our look. It’s crazy but I feel naked without perfume. We all have fragrance notes that we gravitate toward – floral, fresh, fruity, spicy, woody, oriental….. as fragrance is a personal thing. Over the years I’ve stuck to my favourite designer perfumes. My signature scent has been ‘Marc Jacobs – Daisy’ and ‘Viktor & Rolf – Flowerbomb’. As I’ve made the switch to natural and organic skincare, I’ve honestly found it hard to make the switch to ‘natural’ perfume. However as I’ve become more aware of the chemicals and potentially harmful ingredients in my favourite products, I’m now transitioning to ‘natural’ perfume. After doing lots of research it is shocking to discover there can be a laundry list of toxins and chemicals lurking in mainstream perfumes. I find some fragrances give me an instant headache, tingling in my throat or have me sneezing constantly. Whatever we apply to our skin is absorbed by the body. There are more than 3,000 chemicals used in fragrances. Some of these chemicals like Phthalates and Parabens are known to be hormone disruptors, carcinogenic and linked to reproductive defects (decreased sperm counts, early breast development, birth defects), allergies and liver and kidney damage. Sadly the exact list of ingredients in synthetic fragrances do not have to be disclosed on the label as the manufacturers cite they are protected as “trade secrets”. It is highly beneficial to switch to natural perfumes made from essential oils and botanical ingredients, free of synthetic fragrances, parabens, phthalates, and other potentially harmful chemicals. If you want to avoid toxic perfume chemicals and you’re looking to make the switch to natural perfume, I’ve got a new brand for you to consider. ‘A Little Star-Dust’ – a sumptuous bouquet of Ylang Ylang, Iris and Jasmine enriched with hints of creamy Amyris and exotic Tonka Bean. ‘A Different Drummer’ – opens with a spicy blast of Pepper followed by Cedarwood and Amber and finishes with creamy hints of Amyris Sandalwood. ‘Castles In The Air’ – a fresh, intoxicating blend of Citrus with a hint of tropical flowers and lavender. ‘The Solid Earth’ – opens citrusy fresh with Petitgrain followed by a heart of Vetiver and Light Patchouli Oil to finish off with creamy Amyris. ‘Two Eternities’ – a garland of Forest Flowers including Wild Roses, Jasmine and Iris floating above a fresh Citrus base of Bergamot and Sweet Orange Oil. I was part of the volunteers who took part in testing the samples and choosing my favourites. I was really excited to see the final perfumes when they launched at the Natural & Organic Products Europe show last month. I also got the chance to choose 2 perfumes to review. The two that appealed to me the most were ‘A Little Star-dust & ‘Two Eternities’. “A sumptuous bouquet of Ylang Ylang, Iris and Jasmine enriched with hints of creamy Amyris and exotic Tonka Bean. A garland of Forest Flowers including Wild Roses, Jasmine and Iris floating above a fresh Citrus base of Bergamot and Sweet Orange Oil. These perfumes are simply stunning. I love the packaging…chunky glass bottles with chunky wooden lids. I love that these perfumes are made to the highest quality whilst being affordable. I enjoy using them, my favourite is ‘A Little Star Dust’, you know anything with ylang ylang has my heart. I also love ‘Two Eternities’ as I’m very much into floral scents. Both perfumes are great for day and evening wear. 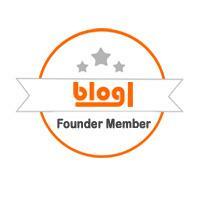 Each fragrance is exquisite and lasts all day which is great. My hubby loves ‘A Little Drummer’ and ‘The Solid Earth’ which have a woody scent. 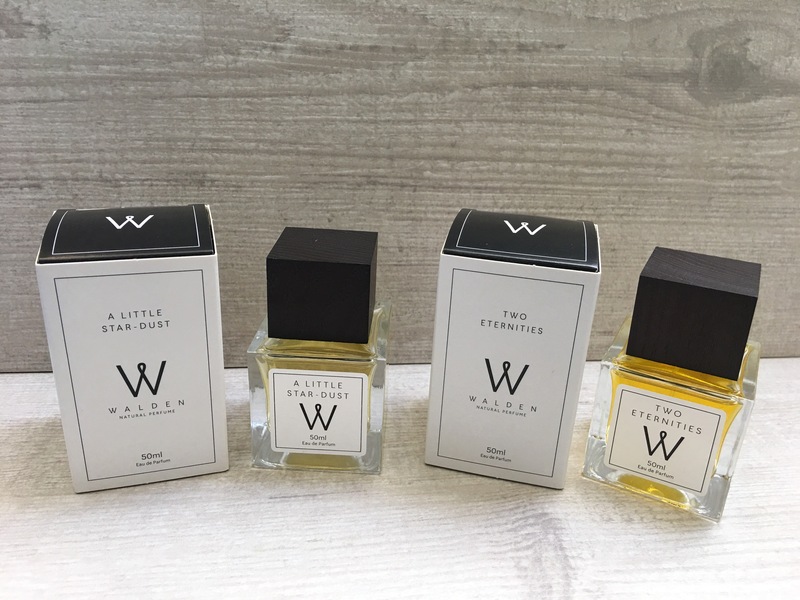 If you’re not sure which perfume to try, a great way to find your perfect scent is to purchase a Walden Natural Perfume sample set – testers 5 x 2ml for £5. Have you made the switch to natural perfume?